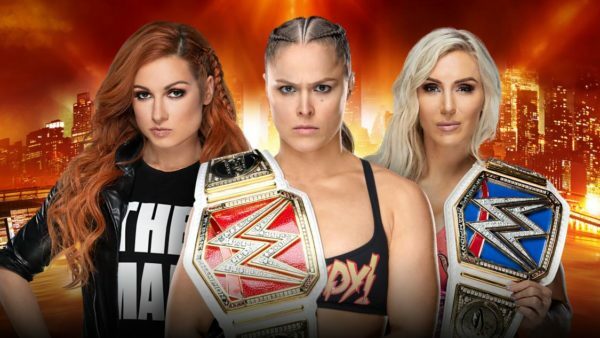 On this episode of Wrestling 2 the MAX Harry Broadhurst, Brandon Biskobing and Cedric Colon preview the Showcase of the Immortals and the surrounding events of Wrestlemania 35 weekend. They run through their predictions and expectations for the shows throughout the weekend and give their thoughts on all things Wrestlemania. Wrestling 2 the MAX tries to cover everything from WWE, NXT, Impact Wrestling, and ROH to other global entities like Lucha Underground and New Japan Pro Wrestling. This show comes to you twice a week and is informative, fun, and meant for every kind of pro-wrestling fan out there. You can follow the hosts @W2MSean, @W2Mgary, @hailtothechimp7, or the entire network @W2MNetwork. Sean studied Journalism at the University of North Texas. He loves pro-wrestling so much that he even trained to be a wrestler at the age of 17. Though he eventually had to quit wrestling to go to college, he still returned to do play-by-play commentary, help write storylines, and most of all, to watch matches. Sean started his love of pro-wrestling at the age of five after watching a Hulk Hogan match. Due to his family hating sports-entertainment, there were many years he missed. However, he returned full-time to being a fan in the late 1990s. Since then, Sean has gone on to write for various wrestling websites in a number of capacities, but he discovered his true passion, Podcasting, four years ago when he and Gary started the Wrestling 2 the MAX Podcast.